Description New York Central System (NYCS) Railroad Form PTD-755-ZZ Used 1945 Blue Ticket Envelope - The Waterlevel Route... You can sleep. 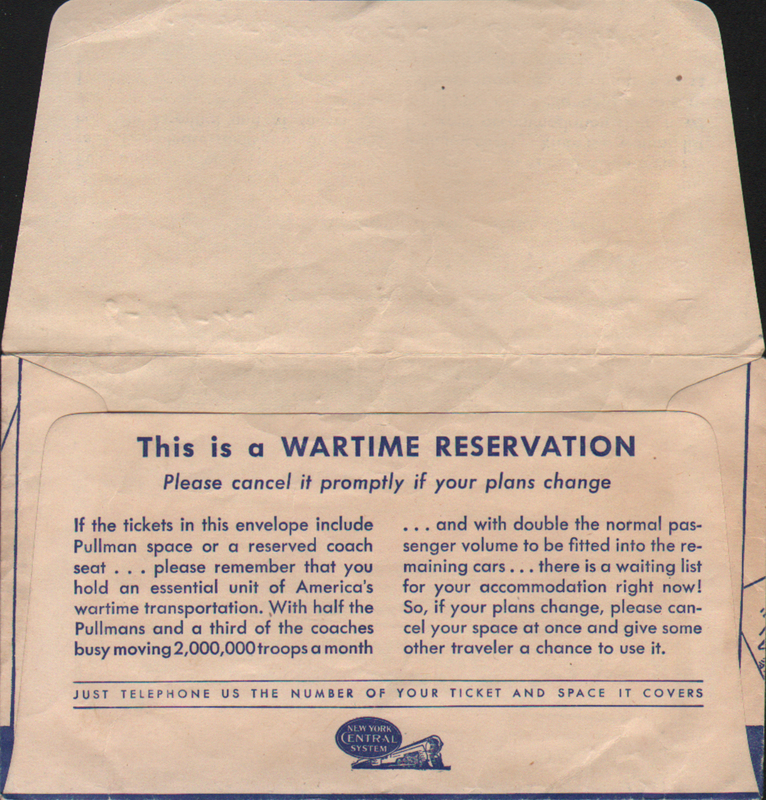 This is a War Time Reservation. Please cancel it promptly if your plans change. 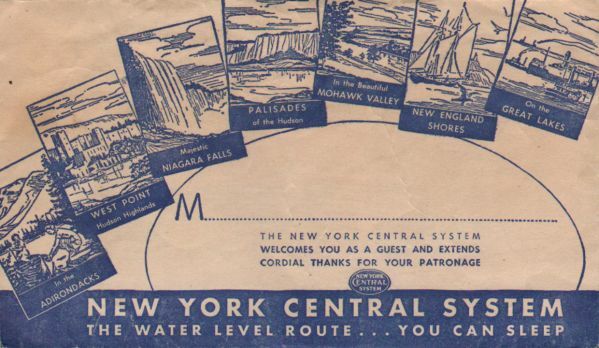 Features scenes of famous points along the New York Central's Waterlevel Route - such s West Point, Niagara Falls, the Adirondacks, New England Shores and the Great Lakes. 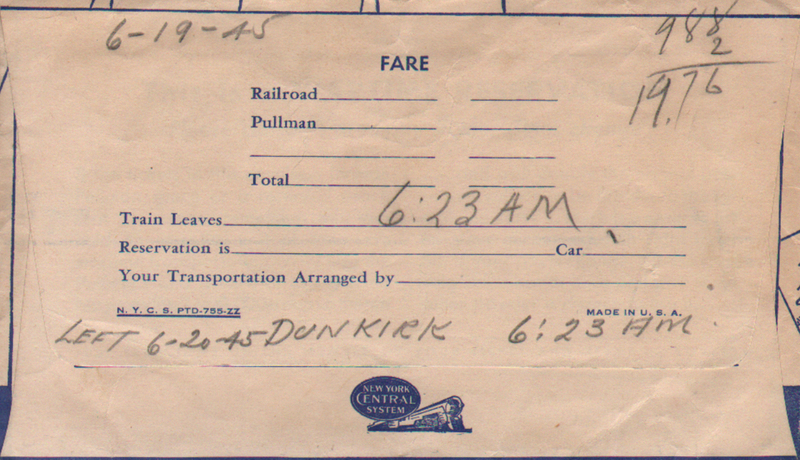 From a trip on 6-19-45.